Somerset's boutique bonanza returns for another year of funky vibes and family-friendly fun. Don’t forget to check out DJ Mag’s disco and house takeover, with Todd Terry, Greg Wilson and our very own editorial double-act, Carl Loben and Adam Saville! One of the season’s earliest doses of big name bookings, We Are FSTVL returns to Upminster to celebrate five years at the top of the UK festival game. Rob Da Bank’s OTHER festival — or festivals, we should say — brings top talent from across the musical spectrum, plus tasty treats and oodles of fun to Oxford and Southampton. Bristol has long been a hub for forward-thinking UK dance music and soundsystem culture, and nowhere is that clearer than the Love Saves The Day line-up. There’s plenty of top international talent too, but, for us, this is all about the local heroes! It's no secret that Glaswegians love techno, which is exactly why Riverside Festival boasts some of the best acts the genre has to offer (and a healthy helping of top house acts too). Northern Ireland’s Audio Visual Arts Festival and Conference returns to present shows and talks, with a selection of the finest acts dance music has to offer. Now in its 11th year, Field Day is packing serious heat — like, seriously. With a focus on forward-thinking hip-hop and electronic music, the bill isn’t just one of the best in London this year, but the whole of the UK. If Gorillaz’s return hasn’t been the most hotlyanticipated musical event so far this year, we don’t know what has. And not only are they now officially back, but they’ve brought a festival with them too! Junction 2 returns for year number two, jamming what seems like half the world’s big name techno acts under the M4 motorway for a good ol’ fashioned, thumping knees-up — see you at the front! The legendary Southport Weekender makes a grand return after saying goodbye back in 2015, this time reimagined as a one-day event in London’s Finsbury Park, but still packing serious heat on the line-up. 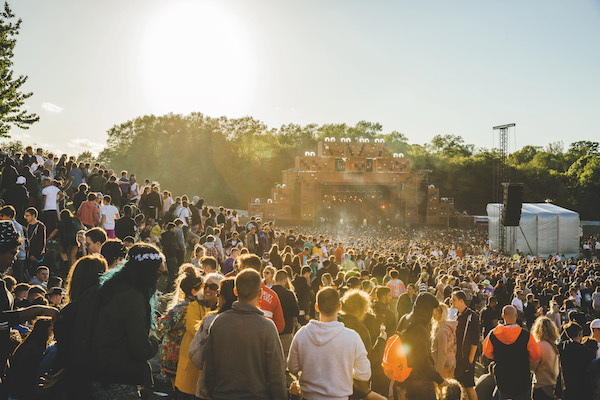 Now pulling in around 75,000 revellers each day, Manchester’s Parklife has become nothing short of epic since setting up shop in 2010, and with consistently impressive line-ups, shows no sign of stopping. Proof of what you can do with love of music and a spot of elbow grease, S&C’s team of passionate, young promoters bring the best of London’s thriving grime scene to the quaint, university city of Cambridge. The Mac Daddy of UK festivals is back! What can we say about Glasto that hasn’t been said 1000 times already? If you didn’t get tickets, you’ll have to wait until 2019 for another chance, as 2018 will be a fallow year to allow the site to recover. Forget your standard mainstage fodder, Noisily Festival is all about keeping it underground music-wise, with an extra emphasis on art, spiritualism and well-being too. Good for the mind, body and soul! Science and raving go hand-in-hand at Bluedot festival. Located at the Jodrell Bank Observatory, the event offers an eclectic lineup, plus activities such as stargazing, films, a planetarium, and talks from experts in tech, physics and more. Sven Väth’s Cocoon brand returns to Leeds for a ninth year, bringing techno titans from across Europe and local heroes alike. A discerning selection of house and techno in a hidden forest in Hertfordshire — how could we possibly resist? The simple answer is, we can’t. Tucked away in the Lancastrian countryside, Beat-Herder boasts weird and wonderful in equal supply. A regular haunt for festival dons, Dub Pistols (they’re back again this year), is proof enough of the quality on offer. After a fantastic debut last year, a cluster of warehouses just outside Liverpool city centre once again plays home to a plethora of globally renowned disco and house acts — this year additionally celebrating Southport Weekender’s 30th birthday! 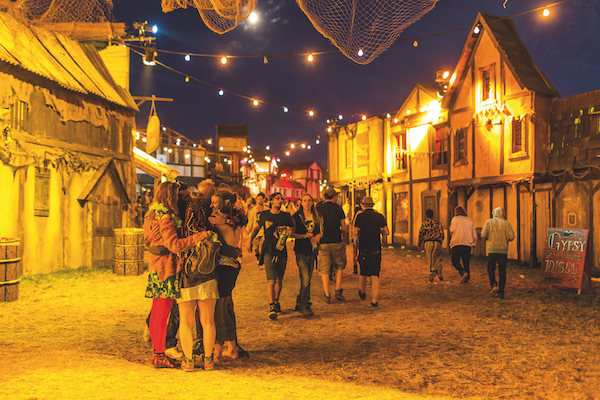 With a vibe a bit like a hippy commune, Nozstock combines rolling English countryside, charming hand-crafted production, and reggae, hip-hop, drum & bass, ska, psy-trance and the like. Look out for DJ Mag Bunker-hosted sets at the fest this year! We could all probably do with a few more reasons to be cheerful right now, but thankfully those folks down in Jersey have us covered — top stuff, as per! Having sold out every year since debuting in 2015, and looking likely to again this year, it’s safe to say 51st State has nailed the London festival game. Although it’s unsurprising really, considering how many undisputed legends of house and disco are playing. Offering a bill of super-cool, highly individual acts you’d seriously struggle to find elsewhere, Visions brings together music, art, food and even a dog show, building a creative hub in the capital’s buzzing London Fields area. 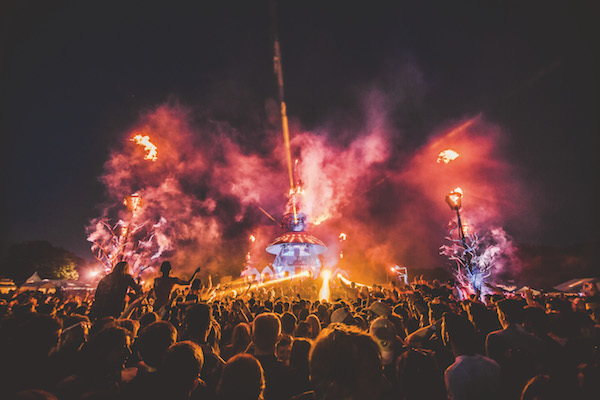 Welsh woodland and a dedication to building a fun, friendly, family-like vibe keeps Gottwood rammed year after year, and earned the event Best Boutique Festival at last year’s DJ Mag Best Of British Awards. A music and art festival, set deep in the heart of the stunning Norfolk countryside, and curated by Fabric resident and Musical Director Craig Richards? Yes, yes, yes... take our money! There's few places in the UK more beautiful than the Cornish coast, and coupling that with a wide range of big name DJs and MCs, and a chance to ride the country’s best breakers, makes Boardmasters practically impossible to resist. 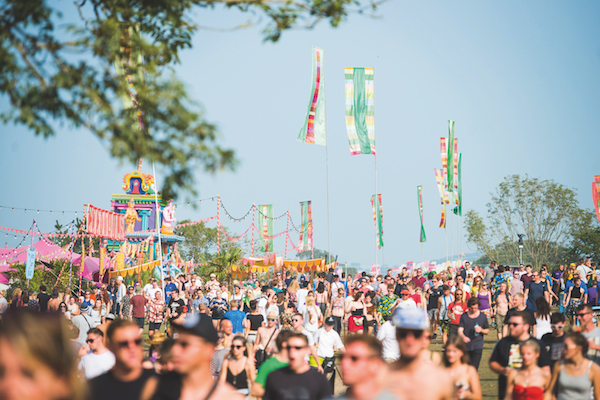 Barcelona's beloved party brand Elrow hits the UK capital for an open-air one-dayer. Expect top quality house and techno, more confetti than a Vegas chapel and all the colours. Seriously, all of them. Celebrating 20 years in 2017, Creamfields is nothing short of legendary in the UK festival scene. This year’s line-up is as epic as ever (five pages long, in fact), offering EDM superstars and big name DJs from across the dance spectrum. A host of underground dance music’s best and brightest, well-being workshops and top-notch comedy acts, all set in a secluded woodland location decked out in weird and wonderful production? Don’t mind if we do! Packing a titillating array of funk, jazz, Afrobeat, reggae, drum & bass and other dance, hippy fest Shambala is all about positive vibes, well-being and dancing ‘til you drop. Spread the love, people! A staple of the London festival calendar, SW4 pulls in the biggest names in mainstream dance like no other UK event, and packs a healthy helping of underground talent too. It's all change for one of the nation’s best-loved fests this year, as the Isle Of Wight’s Bestival goes back to its roots design-wise and relocates to a castle in Dorset. Plus, Rob Da Bank’s taste in acts is still as impeccable as ever. 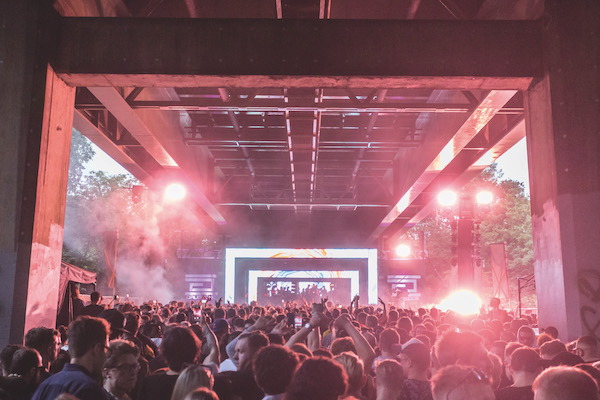 After a cracking first year, Hospitality returns to Finsbury Park bigger and better, this year teaming up with Fabriclive, Let It Roll, Deep Medi and more. With Mint Club, Mint Warehouse and Mint Festival, there’s no doubt they like to keep things fresh up in Leeds (sorry, couldn’t resist! ), and consistently solid line-ups suggest 2017 will be no different. No details for this one yet, but having scooped Best Festival at our 2016 Best Of British Awards, it’s safe to say Nic Fanciulli’s The Social Festival guarantees a good time.